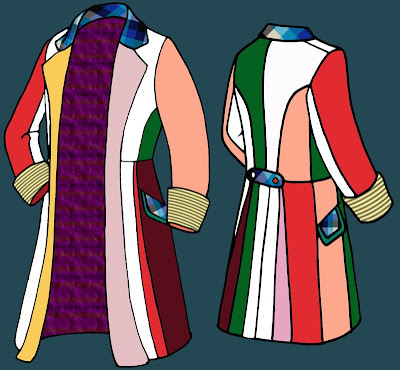 Making My 6th Doctor Costume: Ultimate Six Frock Coat - how far have I got? how far have I got? 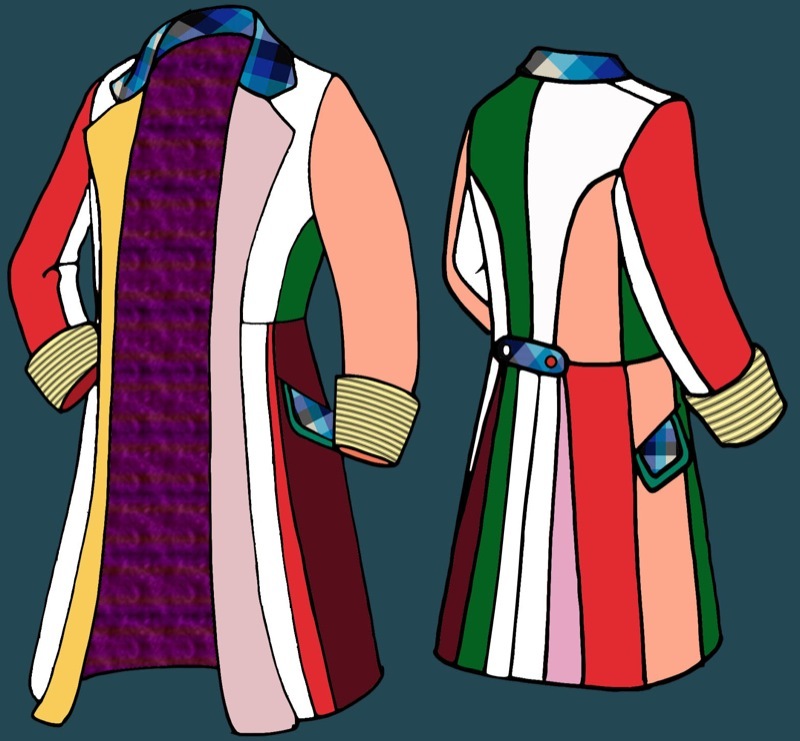 I’m at an exciting stage of my fabric gathering on my Ultimate Six Frock Coat, so I thought I’d just have a recap of how far I’ve got. As you can see, my painting by numbers is coming along very nicely, with all the solid colours sourced; the cuff fabric sorted out ages back; the hand-woven collar done; and the AMAZING lining done to perfection. Just THREE fabrics and I’m there - at last! 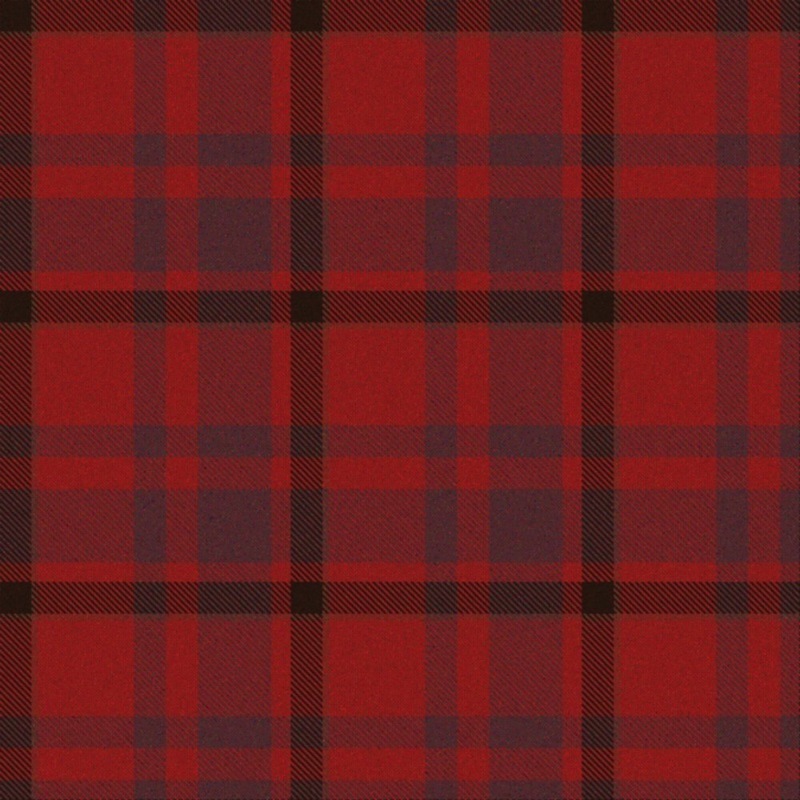 This is currently being woven by a renowned Scottish tartan mill. When it is done, it is going to carefully finished to give it a slightly vintage feel, so it doesn’t look like it has been woven yesterday, which of course it will have been! As you will have seen in my previous posting, the yarns have been lovely selected, and the fabric is being woven as I write. 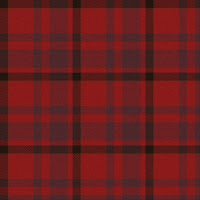 I have seen a preview of it on the loom, and it looks brilliant! 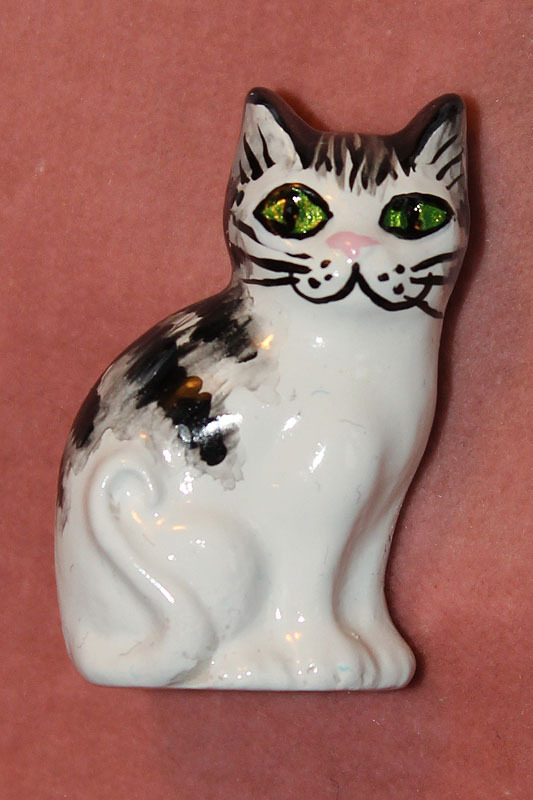 I have sourced the raw materials needed for this, and need to sit down and work it all out and actually make it. Bit fiddly, but nothing that can’t be made. 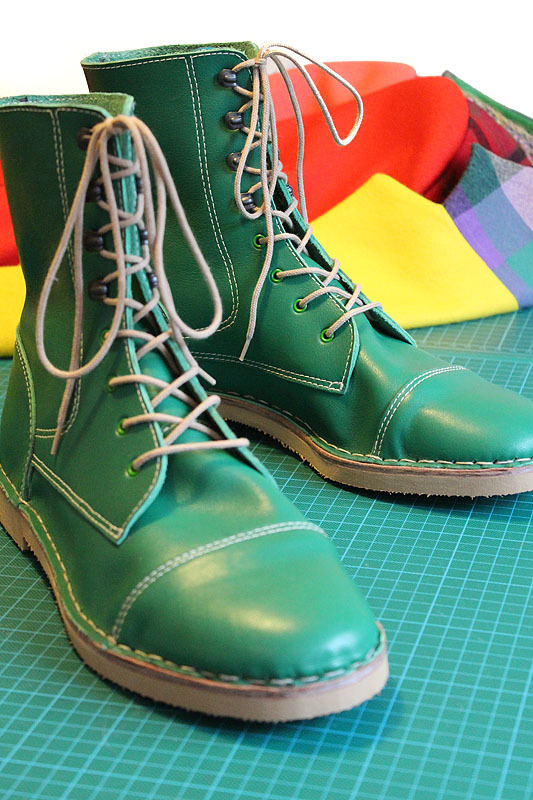 With all this progress I am now itching to make a start and crack on with the project. It’s been over two years in the preparation, but it’s gonna be worth it. 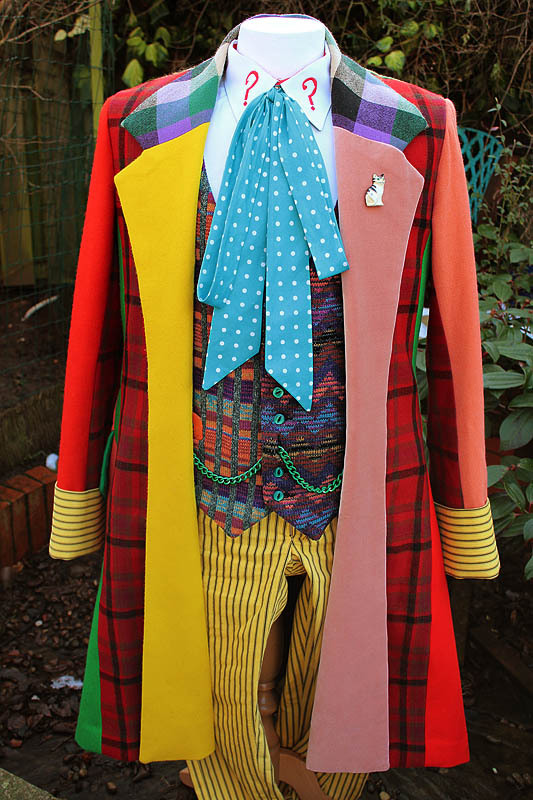 After all it’s gonna be the ULTIMATE Six Frock Coat! I really can't wait to see you finally start putting this together! It's been a while since we've seen you do something like this. What with your other pieces being mostly completed. 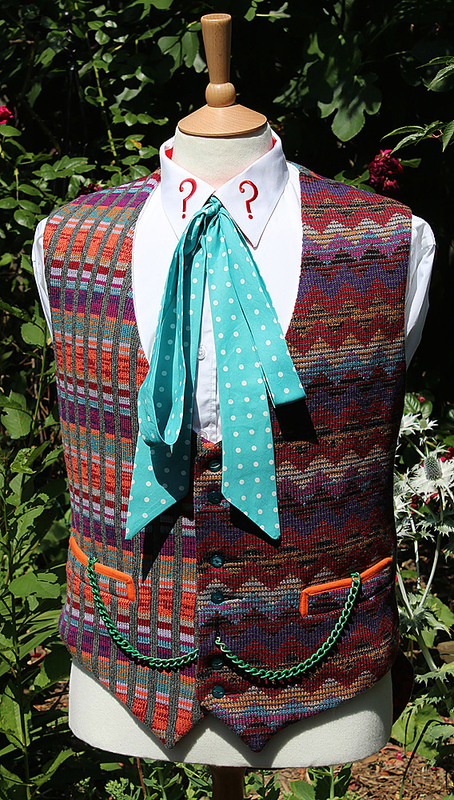 Ultimate Six Frock Coat - how far have I got?